Boston Handmade: SOWA Wearables Market - Today! SOWA Wearables Market - Today! The SOWA Winter Market started on February 1st, and this coming Saturday is a special market - the Wearables Market! This market focuses specifically on jewelry and other wearables, and is timed perfectly for Valentine's Day gift-giving. Be sure to stop by and see the work of these Boston Handmade artists on TODAY, Saturday, February 8th, from 11-4 at 1500 Washington Street in Boston! 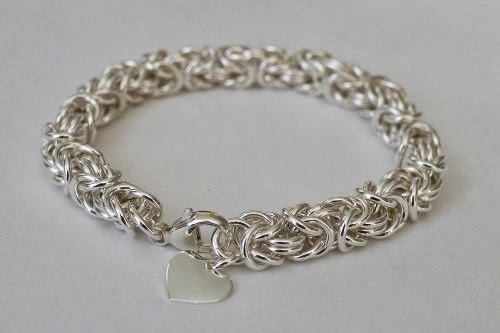 Bev Feldman of Linkouture is a jeweler who makes modern and elegant jewelry for women, featuring chainmaille jewelry. She is excited to be selling her newer line of sterling silver bracelets, made using rings made from recycled metal. 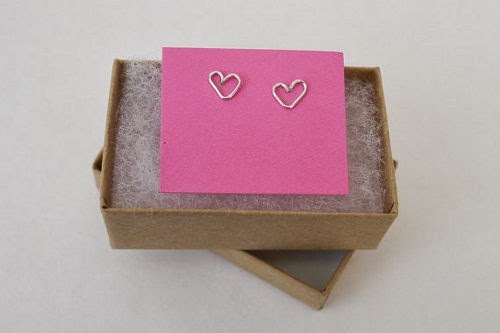 Just in time for Valentine's Day, Linkouture will be selling delicate heart post earrings made from sterling silver and 24k gold plated copper. They are so sweet looking! And for the month of February, Linkouture will be donating 20% of sales for any heart jewelry to Friends of the Center for Families, a nonprofit that holds a very special place in Bev's heart. 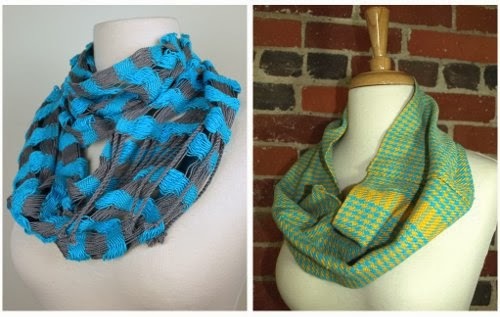 Fiber artist Leanne Tremblay of Loomination will be bringing handwoven scarves of all colors and styles. She will have cowl infinity scarves, traditional full length scarves, and her newest creations, double infinity scarves. Cowl infinity scarves are worn by simply pulling them over the head, resembling a cowl neckline, and double infinity scarves wrap around the neck twice or can be worn long, for a wider variety of looks. In addiiton, she has just completed several menswear inspired full length scarves that can be worn by either men or women that will debut at SOWA. Finally, I will be debuting my new Industrial Swarovski stud earrings at SOWA! Under my Lush Beads Industrial umbrella, I use new and repurposed hardware in unexpected ways, creating earrings, necklaces and bracelets. I work out of my studio at the Western Avenue Studios in Lowell. I am best known for my Morse Code jewelry, which was recently featured in The Lowell Sun. Morse Code necklaces use hardware to represent dashes and dots, spelling out a word or phrase. The one pictured above spells "love". This is sure to be a great market, so stop by 1500 Washington Street in Boston from 11-4 today!